If you have a lot of stuff to ship and you want to make sure that it’s going to be shipped altogether without any types of delays, then you may want to consider container shipping. Not only are they very spacious and can therefore be packed with a lot of items, but they’re also made of GRP, aluminum or steel. This makes them very solid and at the same time, a very convenient way to ship various types of items. 1. Compared to general cargo ships, they’re generally faster and larger. 2. Less crew is required to handle them compared to General Cargo ships. 4. More voyages per annum, meaning that the ship owner gets to make more money. 5. The ship owner pays less port dues. One thing you should know is that if you do choose to have your items shipped via cargo containerships, then the insurance is only going to cover claims related to damaged goods. The proprietor though may also be interested in the container as packaging which means that he can therefore insure it. This is especially the case when shipping various types of expensive and sensitive items that need to be protected properly while in transit. Therefore, if anything will happen to the packaging while the container is in transit, the insurance company is going to cover the costs based on the damages it sustained. No matter what you would like to ship overseas, it’s very important that you choose a reliable shipping company that has a good reputation and therefore gives you the peace of mind that they’re going to have your container shipped to your desired destination on time and with no incidents. Before you hire a shipping company, check the reviews others have left for it on the internet, call the company directly in order to speak to one of their representatives in order to test how efficient and responsive they are and don’t forget to check and see if any complaints have been filed against them on the BBB website. 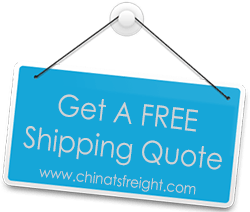 All in all, shipping items overseas can be very simple and a really pleasant experience, but you do need to make sure that you do your research regarding the shipping company, their rates and transit times.